Our Standard cables are made with the same high quality as our Premium cables to give you a great cable ar lower price. 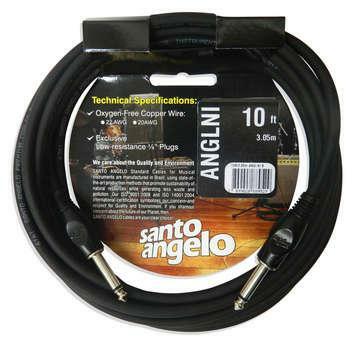 Standard cables are made with a 22 AWG OFHC (Oxygen Free High Conductivity) copper wire and a flexible PVC jacket. Our exclusive plugs are injection-molded in aluminium with a great natural finish or covered in deep-black epoxy. The low-resistence, brass contacts are both machined and stamped, then nickel plated. Terrific cables for everyday use!